Anyone who has followed my work for any period of time will know that my thinking about pitching mechanics has been influenced by the work of Dr. Mike Marshall. Dr. Marshall was the person who convinced me that it was a possible to try drive down the rate of injuries in pitchers. However, anyone who has closely followed my work also knows that I have become increasingly uncomfortable with many of Dr. Mike Marshall's latest ideas. I have come to believe that, in an effort to differentiate his work and demonstrate how much he has broken with the establishment, Dr. Mike Marshall has basically gone off the rails. I believe that some of the things that Dr. Mike Marshall are teaching will not only not maximize a pitcher's velocity but might actually increase their risk of injury by making their pitching mechanics less efficient. I took a video of my son last night and noticed that his shoulders rotate before and much more than his hips do. Is this correct or should the rotation of his hips lead the rotation of his shoulders? As I visualize it, I would think that the hips should leg the shoulders because the leading rotation of the hips would pre-stretch the muscles of the torso, enabling them to more powerfully rotate the shoulders. You are correct. Baseball pitchers should forwardly rotate their hips and leave their shoulders behind. Then, when the hips have forwardly rotated as far as they can, pitchers should forwardly rotate their shoulders as far as they can. 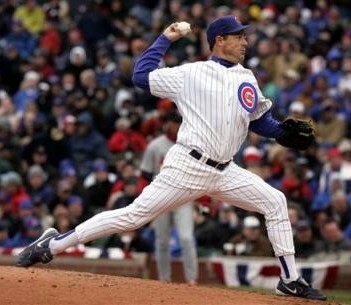 I teach my baseball pitcher to forwardly rotate their hips, shoulders and pitching upper arm as a unit, not separately. I'm sorry, but this is just stupid. Rotating the hips and shoulders together is an immature movement pattern that most kids of any ability grow out of by 12 or 13 years of age. They do that because it's hard to get much on your throws if you rotate your hips with your shoulders. If you look at photos of pretty much any major league pitcher -- including the great, injury-free ones -- you will see many examples of hip/shoulder separation. If you take hip/shoulder separation out of a pitcher's mechanics, then the result will be arm arm thrower who has to work much harder to throw than does someone who knows how to throw the ball with their entire body. I believe that arm throwers, aside from having velocity problems, face much higher injury risks because their mechanics are fundamentally less efficient. I don't know why Dr. Mike Marshall is insisting on taking the body out of the pitching motion, but in my opinion there is no good justification for doing so. As a result, while I still like his conditioning and pronation ideas, I no longer regard Dr. Mike Marshall as my primary, or even major, influence. Instead, the primary source of my beliefs is the actual pitching mechanics of great pitchers like Greg Maddux and Roger Clemens. My change of opinion regarding Dr. Mike Marshall isn't (that) personal. Sure, I'm not thrilled that Dr. Mike Marshall has called me "an athletic dweeb" (Dr. Mike Marshall's Q&A file 2008.721). I'm also not thrilled with what he has posted to his web site. I have never sent Dr. Marshall any videos. I have sent him links to the photographic pitching mechanics analyses I did when I first started out. I asked for his opinion of them, but it was my work that I was asking him to comment on. Right now, he is bragging on Baseball Fever that he convinces the Cardinals to sign some guy, but my kids tell me that that guy is already on the disabled list. For one thing, while I know a number of scouts and others who work at the major league level, I have never worked for the St. Louis Cardinals. The consulting I did was for someone in a different organization. Also, the pitcher mentioned above is on the disabled list for reasons that aren't related to baseball. ...The Cardinals are getting a track record of hiring guys that talk about my stuff. Brent Strom and Chris O'Leary have never had an original thought of their own. I don’t mind that they use my stuff, but they should admit that it is my stuff. Otherwise, it is plagiarism. On multiple occasions I have acknowledged that my work has been influenced by the work of Dr. Mike Marshall. That is why on my web site I have a section entitled Dr. Mike Marshall 101. In general, the change in my opinion of Dr. Marshall results from my efforts to find the truth about pitching mechanics and my growing sense that Dr. Mike Marshall is pushing a number of ideas that simply don't hold up. The bottom line is that, while I have learned tremendous amounts of information from Dr. Mike Marshall, I do not think that he is a positive force in baseball. His approach of attacking and ridiculing pretty much everyone is simply not constructive and only feeds his detractors who dismiss him and his followers as a cult. What's more, ASMI has demonstrated that some of Dr. Mike Marshall's claims simply do not hold up to deep scrutiny. I also believe that some of his ideas, such as rotating the hips and shoulders at the same time, simply do not make sense. With the hip/shoulder separation forward rotation technique that traditional baseball pitchers use, they suffer injuries to their Oblique Internus Abdominis muscle on the glove side of their rib cage. The truth is that these are minor injuries that are generally due to a lack of conditioning and are easy to recover from. Nobody was ever forced into retirement due to problems with their obliques. 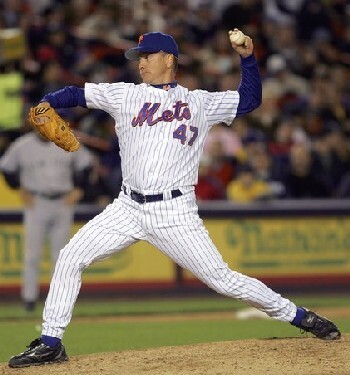 With my hip/shoulder together forward rotation technique, in addition to the Oblique Internus Abdominis muscle, my baseball pitchers use the Oblique Externus Abdominis, Transverse Abdominis and the Quadratus Lumborum muscles. These are the four muscles that attach to the triad of hip bones and the rib cage that rotate the shoulders relative to the hip. When my baseball pitchers use these four powerful hip/shoulder rotational muscles, they not only do not suffer injuries to their Oblique Internus Abdominis muscle, but they also rotate at considerably higher velocities. The problem is that ASMI's data disproves this claim. Dr. Mike Marshall's pitchers do not achieve superior rates of torso rotation, and I think that helps to explain the velocity problems his pitchers experience. By design, Dr. Mike Marshall's pitchers are arm throwers. Unfortunately, they do not use their bodies to their full advantage. While I disagree with Dr. Mike Marshall's ideas about arm action and hip/shoulder separation, among other things, I do think some of his ideas have merit. As a result, and like others that I know of, I have incorporated these ideas into my own teaching. These good ideas include pronation, the importance of high levels of conditioning, and the problems with late pitching forearm turnover and keeping the fingers on top of the ball.